"Guests are greeted with a reimagined arrival experience at the hotel, which mixes the personality of a boutique concept combined with LA’s urban style." "Founded in 1926 by Merv Griffin's uncle, Elmer, the Westside Tennis Club burned bright in the Los Angeles social scene in Hollywood's Golden Age. But for the past several decades, the Motor Avenue hangout — more recently known as the Beverly Hills Country Club despite not being in Beverly Hills— has blended quietly into sleepy Cheviot Hills near the Fox lot. That is about to change." "The redesigned lobby, including a handcrafted ceiling installation by local artist Kaili Chun, will have areas to socialize, rest, shop and dine. 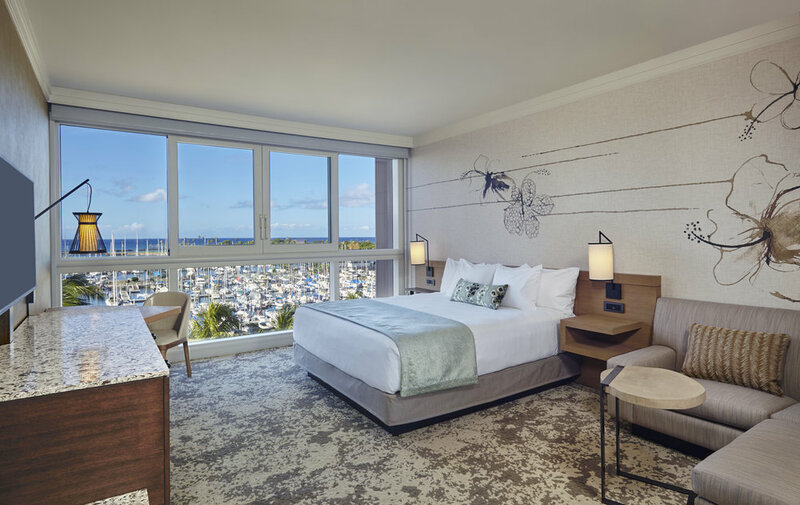 The new interior design will incorporate the hotel's sense of place by complementing the panoramic ocean views available from every guestroom." "The blue, white, and gray color palette mimics the sea and sky and complements the dark wood furnishes and blue speckled down comforter..."
"We were briefed to develop design in the eclectic, international style (rather than the regional one). 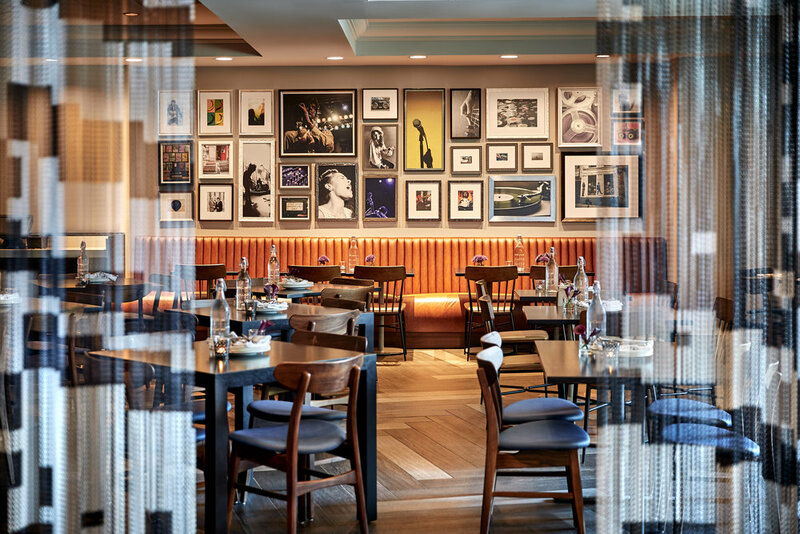 We believe the hotel will offer a great deal of comfort, individuality, sophistication and understated luxury expected from the JW Marriott brand."